Hopkinsville Community College contracted JKS to provide an extensive 50 year Master Plan. 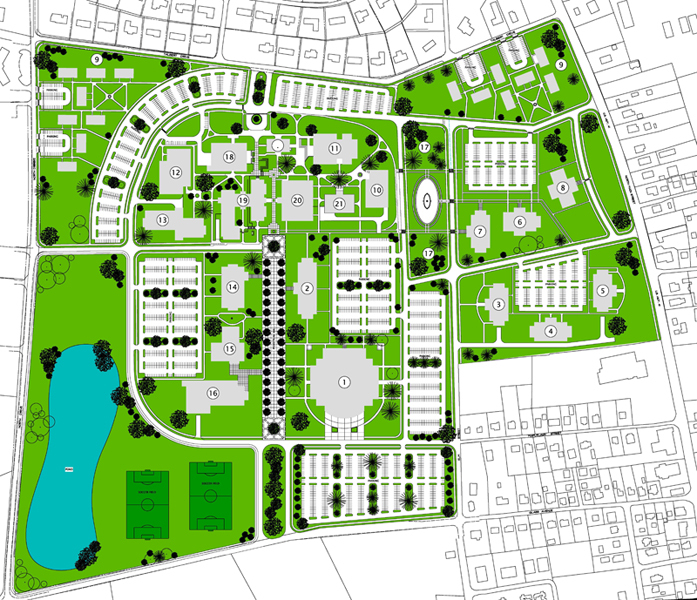 The Master Plan gave special attention to the following: Development of concepts of landscape beautification, Site recommendation for a new Allied Health Building, Arts and Humanities Building, and a new Maintenance and Operations Building. We also made recommendations for site improvements at the Academic Building, Administrative Building, Auditorium, and Learning Resource Building, and made plans to provide better truck access to campus buildings, retain concept of Loop Road, and evaluation of campus site graphics and signage. Site lighting and storm drainage were provided as a separate analysis.